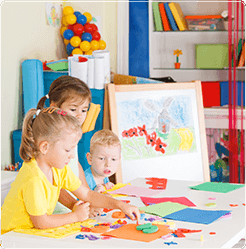 ABOUT: Kinder Kare offers activity-based childcare for younger children in a home setting. Daily activities including free play, exploratory play, outdoor play, crafts, games, toys, story time and more. Lunch, and morning and afternoon snacks are provided. LOCATION:Located in the Richmond Place area, close to the following schools: W. S. Hawrylak, Wilfred Walker, and St. Domenic. Facing Richmond Place Park, the setting is ideal with a large backyard, direct access to a walking path, and with plenty of space for drop-off. daily from 7:15 a.m. to 5:30 p.m. Kinder Kare runs on every business day except during the Christmas Season: Kinder Kare is closed from December 23rd to January 1st. ACTIVITIES: A theme is introduced each month with related crafts, and also work on letters, numbers, colours, shapes etc. Physical activity, indoor and out, is planned daily and includes free play, play structures, organized games, and walks to the local park. Quiet and/or nap time is provided each afternoon. CRAFTS: Using a variety of materials, daily craft time provides your children with the opportunity to gain knowledge, stimulate their imagination, develop fine motor skills, and stretch their capacity for creativity. GAMES AND FREE PLAY: Interaction with the children while helping them to learn new games and songs is important. We promote imaginative play with dress up, a variety of toys, games and puzzles. 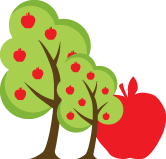 Children 1 to 5 years are eligible to enroll. Children aged 3 years and up must be fully toilet trained.